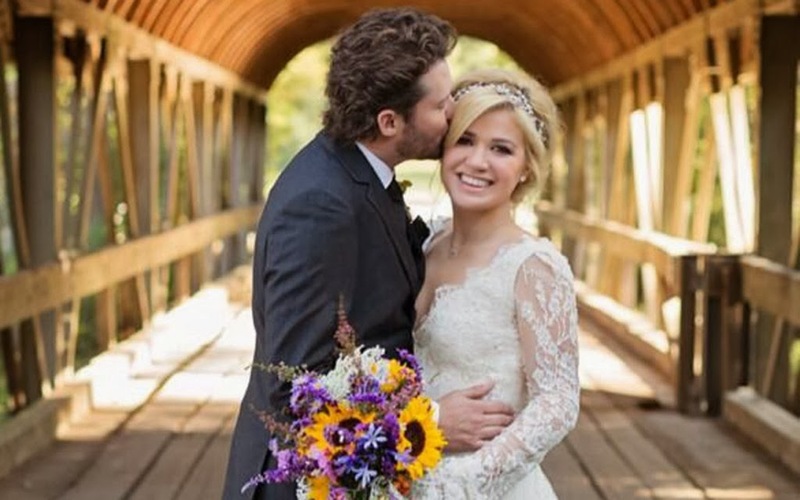 Today, pop singer and the very first American Idol winner Kelly Clarkson confirmed that she and her husband of a month Brandon Blackstock are expecting their first child together. The couple got engaged last December after a year of dating. Speculation arose that Clarkson might had been pregnant when she decided to ditch an elaborate ceremony and scale it down to an intimate affair. The wedding took place at the luxury Walland, Tennessee resort, Blackberry Farms, in the foothills of the Great Smoky Mountains. Blackstock is part of country music royalty. He is son to Narvel Blackson who manages Clarkson. He is also stepson to country music star Reba McEntire.